The LG V30 has been one of the most acclaimed models presented at the IFA Fair. It has been for its attractive design and excellent features, but also for a great novelty implanted in its rear camera, with a dual camera configuration. That was none other than the high value of the opening of the main chamber, established in f/1.6. However, EXIF ​​data from photos taken with the computer denote a different value. The aperture and brightness of the diaphragm of a camera is a technical data of great importance in any camera, although with special emphasis on smartphones. The miniaturization process totally affects part of the components of the camera, since precisely that miniaturization process penalizes the specifications of the lens. And is that the greater the aperture of this element, the more light the sensor captures, and therefore, more information comes to be interpreted and represented in the form of a photo. 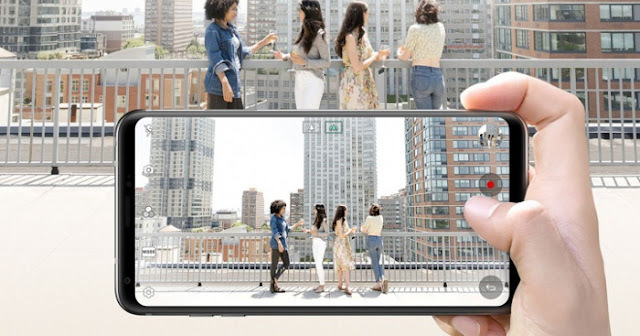 To date, the latest Samsung Galaxy high-end, the Google Pixel and the HTC 10 and HTC U11 have been references in this regard, with camera openings whose value were going up to f/1.7. However, LG has presented at the fair IFA Berlin the LG V30. The model, in addition to design and performance, has stood out by the configuration of double rear camera and, of this, has attracted a remarkable attention the high value of the aperture of the lens, with f / 1.6. In summary, this data encourages the quality of photos in low-light environments to exceed the average. However, after the test of the LG V30, it has transpired on the Net that the EXIF ​​data of the photos that are reflected through Google Photos show values ​​somewhat different than expected. As can be seen in the captures, the information about the parameters of the photos shows that the opening of both the main camera and the secondary camera is lower than advertised. Specifically, the opening of the main camera has been detected with the f/1.7 value and the secondary one with the f/2.0 value. In theory, LG announces that both official values ​​are f/1.6 and f/1.9. However, as pointed out from 9to5Google, if we try to access the EXIF ​​data from the PC version of Google Photos, the opening values ​​thrown are f/1.69 and f/1.99. 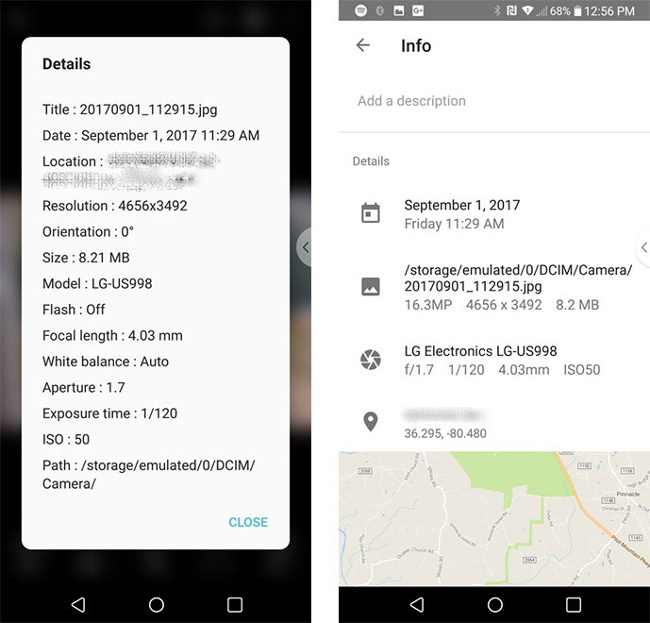 Does this mean that LG has not been clear when specifying such an important data in the dual camera of the LG V30? The truth is that the theory most accepted at the moment is that it must be a software error, which does not read and interpret this technical data correctly. Faced with this situation, it will be necessary to wait for the mark to pronounce on it and offer its version of the facts, either by denying the information or clarifying the possible reason for the reading of the values ​​of the opening of the camera distort with reality .